I’ve noticed often in our hobby that many people like to keep themselves an enigma. Using usernames instead of real names, and keeping details about themselves on a need-to-know basis. Edit: At the end of the post I say that OngoingWorlds doesn’t have a feature to make games private. This changed in September 2014 when private games were introduced. Play-by-email and play-by-post games have in the past been either private or public, and in this article we’re going to look at the advantages and disadvantages of each, and see why people might want their games to be public or private. 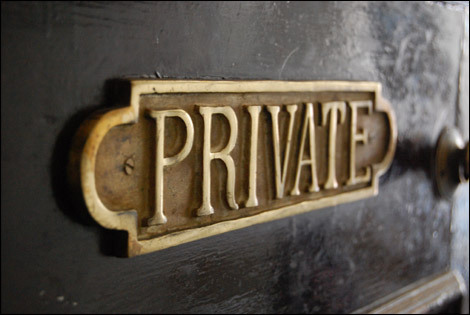 What is public or private? Traditional play-by-email games (PBEM) were stories told by users who sent emails to each other, always keeping every member in the group cc’d into the email, or every member was part of a “newsgroup”, where emailing one email address distributed the email to all members of the group. Doing this meant that the posts that you sent to each other were only ever seen by other members of the group. Games played on a public forum, or Yahoo groups are often public. This means they can be seen by anyone who has navigated to the website, and doesn’t have to be a member to view all posts in the story so far. In both forums and a Yahoo group, you have the option to make all posts private if you need to. This means that only members will be able to see the posts, retaining your privacy.